David M. Fishbein, MD, graduated from the University of Maryland School of Medicine. Following a residency in Internal Medicine, Dr. Fishbein completed a specialty fellowship in Gastroenterology at The University of Maryland . 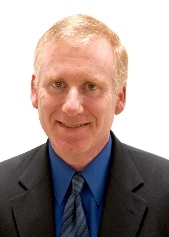 He is Board Certified in Gastroenterology and has been in practice since 1985. Dr. Fishbein is a clinical assistant professor of medicine at The University of Maryland School of Medicine. He is also a fellow of the American College of Gastroenterology. Dr. Fishbein has been on staff at Baltimore Washington Medical Center since 1985. Dr. Fishbein's practice is limited to Gastroenterology. This includes the diagnosis and treatment of upper Gastrointestinal disorders such as heartburn, hiatal hernia, Peptic Ulcer Disease; and lower Gastrointestinal disorders such as Diverticular Disease, Colitis, Irritable Bowel Syndrome, Inflammatory Bowel Disease, Colon Cancer Screening, gallbladder, pancreatic, and liver disease. When calling the office, you may speak to a Registered Nurse. Wendy Miller, RN, is a graduate of The University of Maryland School of Nursing and has been working for Dr. Fishbein since 1985.